You have definitely identified the ideal resource if you are looking for an auto dent repair in Denton, Texas. We have been earning the respect of locals for well over two decades at this point, and our A+ rating with the Better Business Bureau tells you a lot about our customer satisfaction rate. It also speaks volumes about the consistency of our paintless dent removal services, because we have been putting our reputation on the line every day for a very long time. This city is the home of the University of North Texas, which is a fantastic place to get an education regardless of the course of study that interests you. That being stated, it is world-renowned for its jazz program, so there are always many very talented musicians in town. The Denton Arts and Jazz Festival is a highly anticipated annual event, and there is another even larger music festival that attracts hundreds of thousands of visitors every year. Clearly, it is a great place to live on many levels, and we are proud to be able to serve its residents. If you are in Ponder, Cooper Creek, Green Valley, or any other part of Denton, Texas, a car dent repair resource you can trust will always be just a phone call away. Storms that can generate hail are relatively common in our part of Texas. 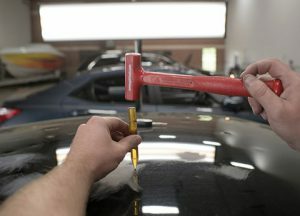 As a full-service body shop, hail damage repair is one of our areas of specialization. The hail repair work that we do is second to none, but we go the extra mile in other ways. If you would like us to pick up your vehicle, we can do so, and we offer drop-off services as well. We can deal with your insurance company for you, and we pay the deductible in many cases. Relatively minor auto dent repair work is just part of our business. 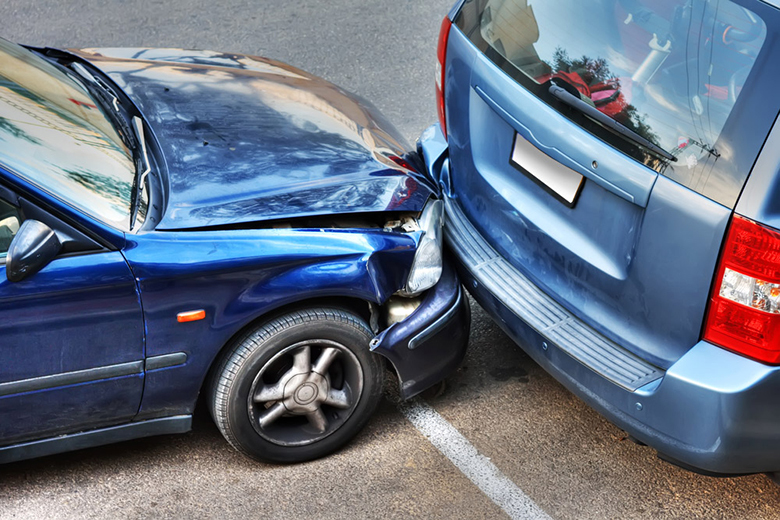 We also offer full-blown collision restoration services and auto painting for Denton, Texas motor vehicle owners. This includes mechanical work, so you can rely on us even if there is extensive damage to your car or truck. If you would like to discuss your situation with one of our Denton, Texas mobile dent repair specialists, you can get in touch with us by phone at 214-735-8365. Our toll-free number is 877-916-4245, and you can click this link to send us a message electronically.